I believe there are two big challenge currently facing open source communities: cultivating empathy and sustaining maintainers. The Open Source Software Movement and the Open Source Initiative will celebrate our 20th anniversary in 2018. As part of that celebration, we're asking open source luminaries to reflect on the past twenty years—the milestones, success, controversies, and even failures—to capture and understand our shared history, and the impact of the open source movement on not only software and technology, but also business, community and culture. We're also curious to hear what those who have done so much to help drive open source to where it is today, on where it should go tomorrow. We thank very much all of those who have not only take the time to offer their perspectives here, but who have also worked so hard of the past 20 years to make open source software and the OSI so successful. In this edition, we hear from Leslie Hawthorn. 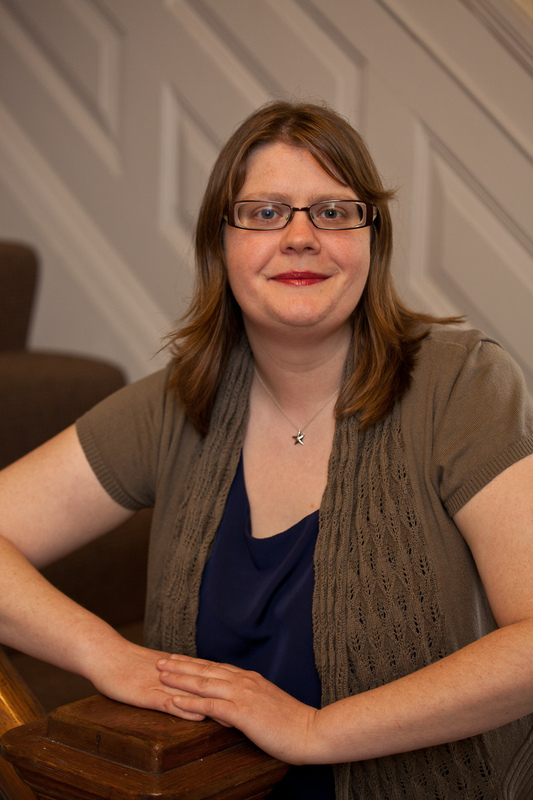 Leslie is a former OSI Board Member, and an internationally known developer relations strategist and community management expert, Leslie has spent the past decade creating, cultivating, and enabling open source communities. She’s best known for creating the world’s first initiative to involve pre-university students in open source software development, launching Google’s #2 developer blog, and receiving an O’Reilly Open Source Award in 2010. Her career has provided her with the opportunity to develop, hone, and share open source expertise spanning enterprise to NGOs, including senior roles at Red Hat, Google, and Elastic. If you cheer during movies when you hear the words “I fight for the users” or “Get your head out of your cockpit,” the two of you will likely get along famously. Follow her on Twitter @lhawthorn or read her blog at https://hawthornlandings.org/. 1. 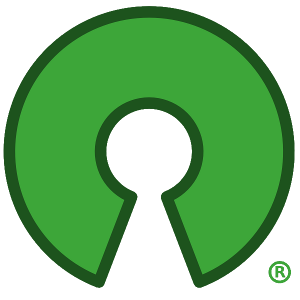 What does "open source" mean to you, and what do you think its most significant impact has been? My understanding of the term open source is of course rooted in the OSI's Open Source Definition, which you can read in its entirety at https://opensource.org/osd. For me, the most important aspect of these principles is that developers can create software that is of value to themselves and others, then make it available to everyone for their own use. The greatest value of open source lies in the fact that anyone can make use of it provided they have the knowledge to do so, and they may also make improvements to that software that benefit themselves and others. In terms of overall impact, I’m delighted to see that companies have adopted the open source model as a cornerstone of their businesses. Without open source languages, libraries, operating systems and frameworks, the technological innovations we see today would have taken much longer or, perhaps, have been cost-prohibitive. Now anyone with a great idea can start a successful company by building a compelling application atop an open source stack and bring that idea to market quickly. It’s easy to point to the importance of open source software in building large corporations like Google - without the gratis and open source LAMP stack, the company arguably would not exist today - but for me open source’s impact on business is more compelling at the individual and small business level. Small businesses can thrive producing open source software and/or supporting its use; just take a look at the huge number of SMBs supporting say the Drupal content management system or the great success that Basecamp (formerly 37signals) has had creating their products with Ruby on Rails. Not to mention the great success they have achieving work-life balance for their employees whilst profiting handsomely! 2. Over the past 20 years, what do you feel has been some of the key developments in the open source software movement that has led to its success? What do you think is still missing? The adoption of open source software by businesses has been one of its key success factors. Most companies no longer believe the bad press that open source software is dangerous or that open source licenses can harm their business. Even Microsoft now loves Linux (and Go, and Python, and ….)! While we’re still in the early stages of adoption, I think that a greater acceptance of InnerSource principles by companies will be the next great step for open source. (For those unfamiliar with the term, the idea is to develop software behind the corporate firewall as ‘open source’ - with everyone having access to the code repositories to follow development or even contributing, regardless of where they sit in the organization.) By entrusting an organization’s technical team’s to work in The Open Source Way, companies have become demonstrably more efficient in their development practices, saving time, money and, most importantly, making their employees feel a greater sense of ownership and empowerment over their work. People who feel a great sense of autonomy and mastery produce beautiful things. 3. How has the OSI been able to further the awareness and adoption of open source software, development, communities? What should the OSI be focusing on in the future? The OSI’s advocacy work over the years has been a crucial part of ensuring that the Open Source Definition (OSD) applies to a given work. We’ve seen a ton of “open washing” - companies claiming a work is open source even when it does not conform to the OSD - as the idea of openness and transparency has gained popularity with developers and consumers alike. The OSI works to make sure that the freedoms promised to a particular person under the OSD are present in a product when its called “open source”; it’s not just a PR ploy. For the future, I would love to see the OSI focus on improving the overall ecosystem for open source projects in a variety of ways: helping to make our communities more diverse so that the software available meets the needs of the greatest number of people; sharing the knowledge of 20 years of history with technologists so we can live up to open source’s great promise of not constantly reinventing the wheel; championing the values of openness and transparency not just in how they impact software development, but also as a model for all of society. 4. What are your expectations for open source software and communities over the next 10 or even 20 years? I believe there are two big challenge currently facing open source communities: cultivating empathy and sustaining maintainers. (You can argue that the second is actually a subset of the first point, but I believe it’s critical to analyze the two separately.) We are in the earliest stages of solving both problems. Regardless of differing life experiences, humans have the need to solve the same problems with software. The more that we see empathy blossom into a key feature of our development practices, the more we will see that the resulting technology provides benefits to wider swathes of people. The benefits for users who do not have our same itches provide benefits to all users, making products better. No person or small group of persons can be relied upon to create and support software used by thousands of people without financial support, not to mention project management assistance, quality health care, and the opportunity to take a break from one’s work. The general interim solution has, thus far, been for large corporations to hire key developers and pay them to continue work on their open source project, but this solution has been problematic. It works wonderfully when the developers’ and company’s interest converge, but these developers may find themselves at odds with their company’s expectations for prioritizing feature development or even demonstrating the importance of funding their work when a particular tool or language is no longer in vogue at that company. We need to figure out a reasonable way to ensure that those creating important works of software are compensated and cared for beyond traditional employment relationships. Fortunately, this problem is being actively addressed by a number of smart folks so I’m confident we’ll see a more sustainable approach to open source development in the coming decade. We’ve seen developers get support via crowdfunding sites like Patreon or Librepay, but I think that programs & platforms targeted specifically at open source developers will meet with greater success than those focused on supporting creators in general. The folks at GitHub have created a program focusing on support for open source maintainers, led by the aforementioned scholar Nadia Eghbal. There are start ups focusing on helping maintainers create sustainable small businesses, such as Tidelift (not coincidentally founded by open source developers), and even co-op models for maintainer support, such as snowdrift.coop.